*Alternate pricing may be requested by multiplying the gallons per day fee shown above times the projected average daily water consumption. This alternative may be applied where there is a history of water use or where the average daily water use can be estimated with a high degree of accuracy. In no case will the Capital Recovery Fee charged be less than the fee for a 3/4" service connection. Customers are also required to pay a Security Deposit of $75.00 per unit for owners and $150.00 per unit for renters. Normally, the property owner connects building sewer lines to the public system. The connection must be made according to Authority specification and will be inspected prior to being put into service. 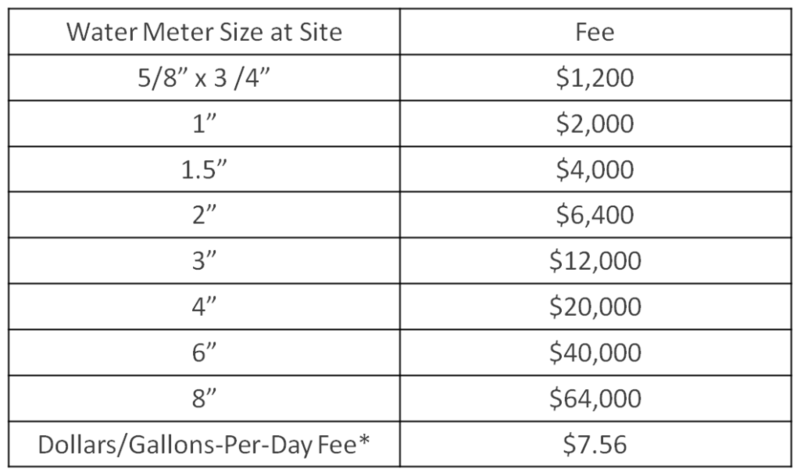 When a connection by the Authority forces is necessary, the fee for connecting a building sewer onto the Authority's collection system determined by calculating the cost of labor and materials.